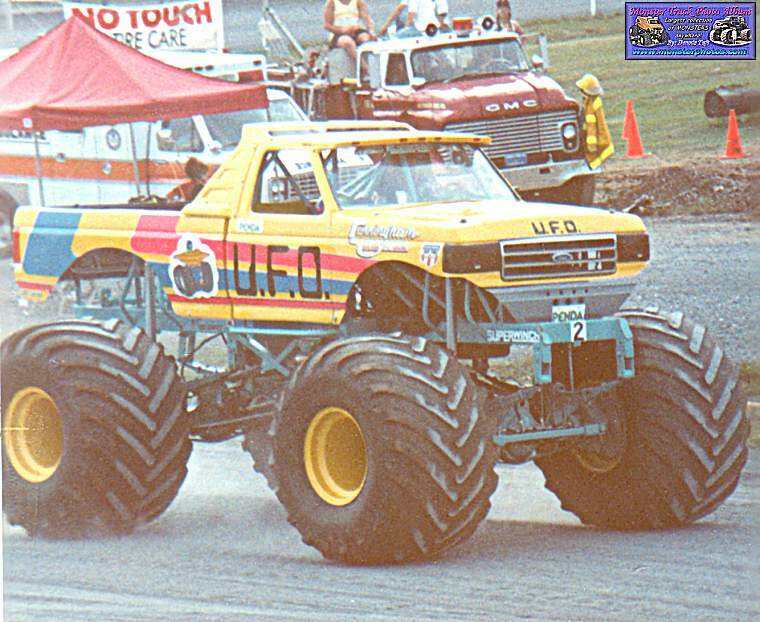 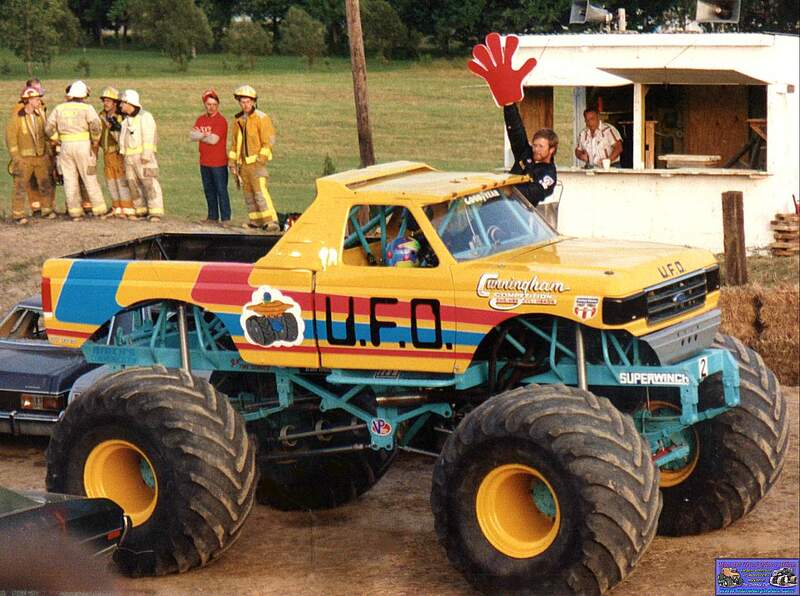 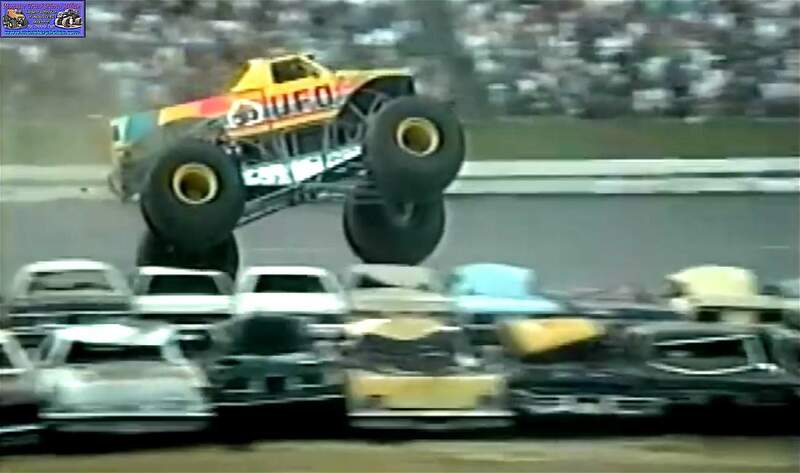 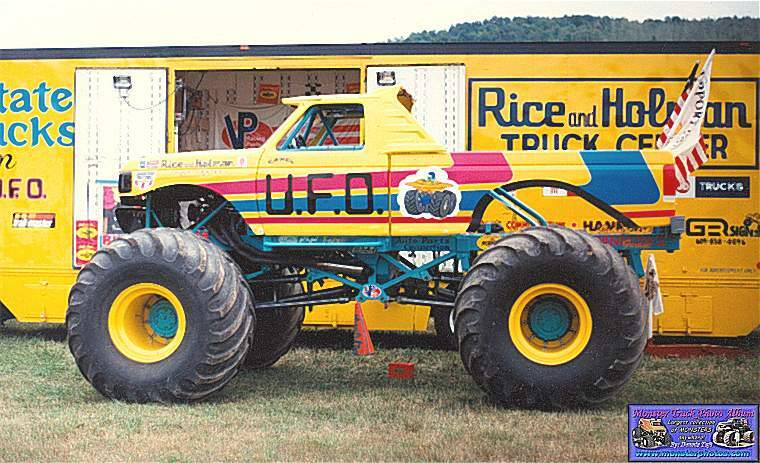 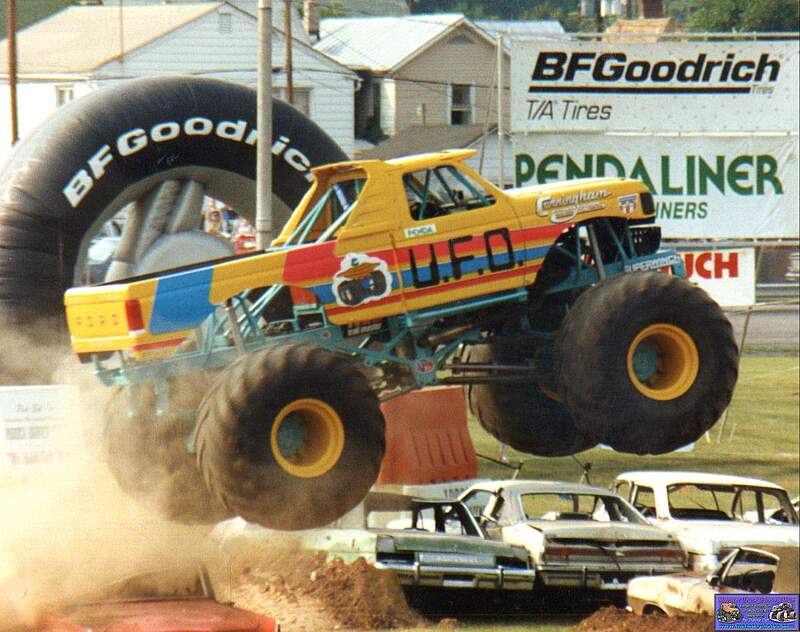 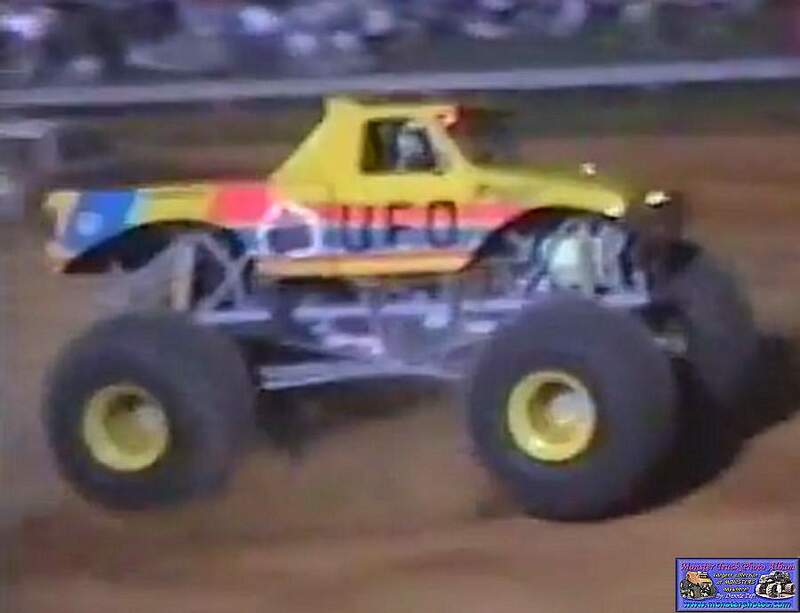 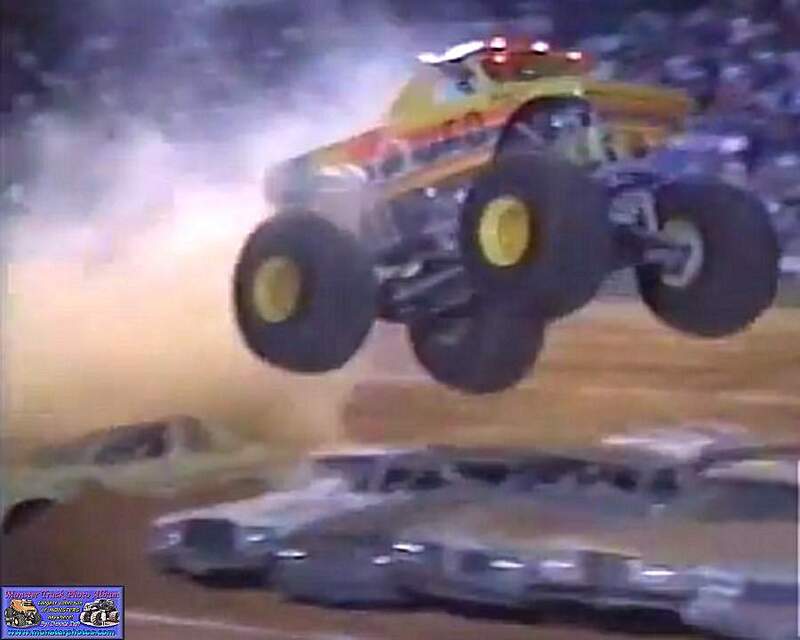 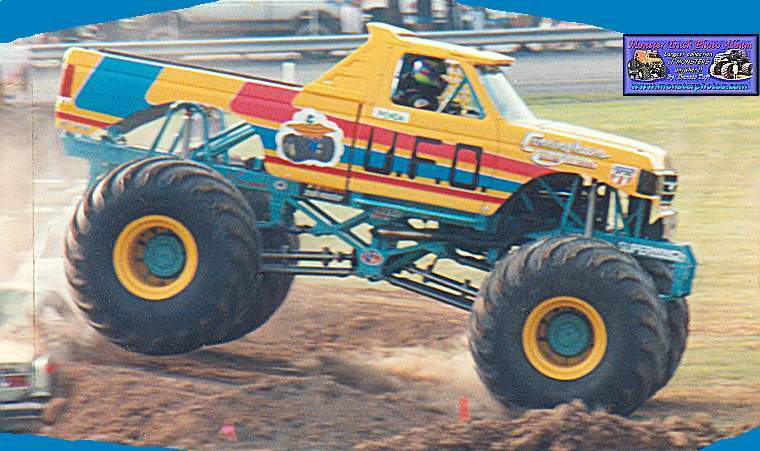 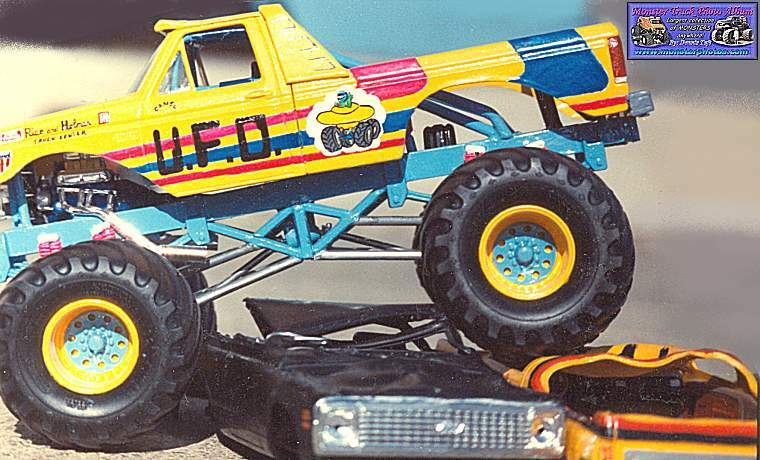 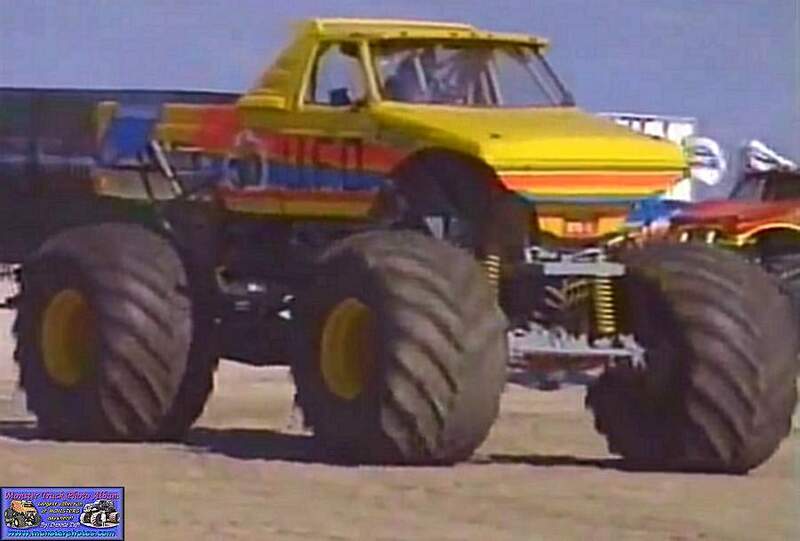 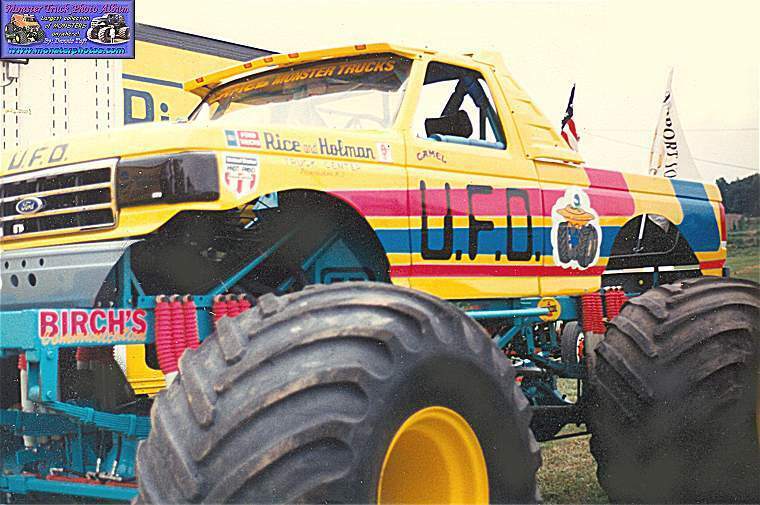 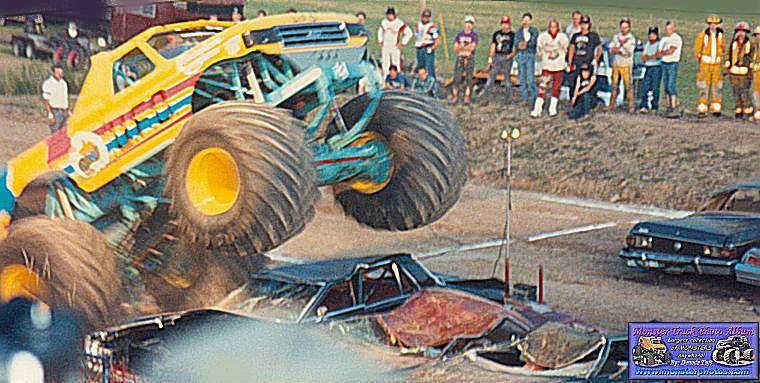 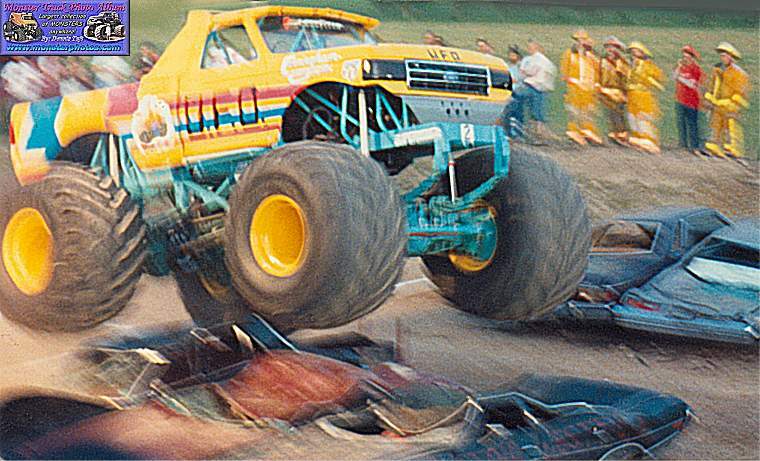 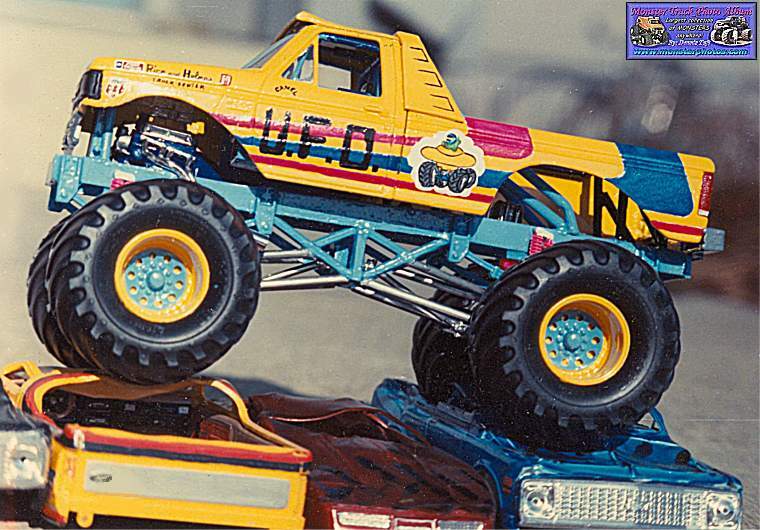 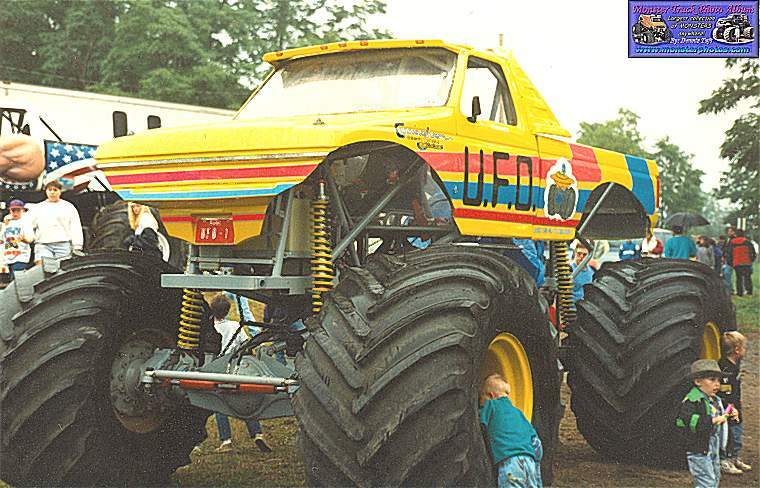 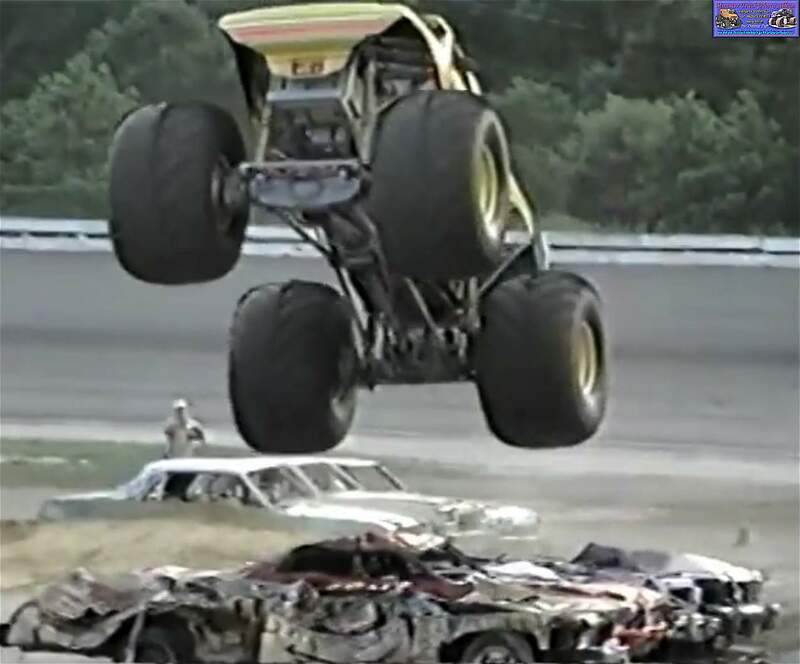 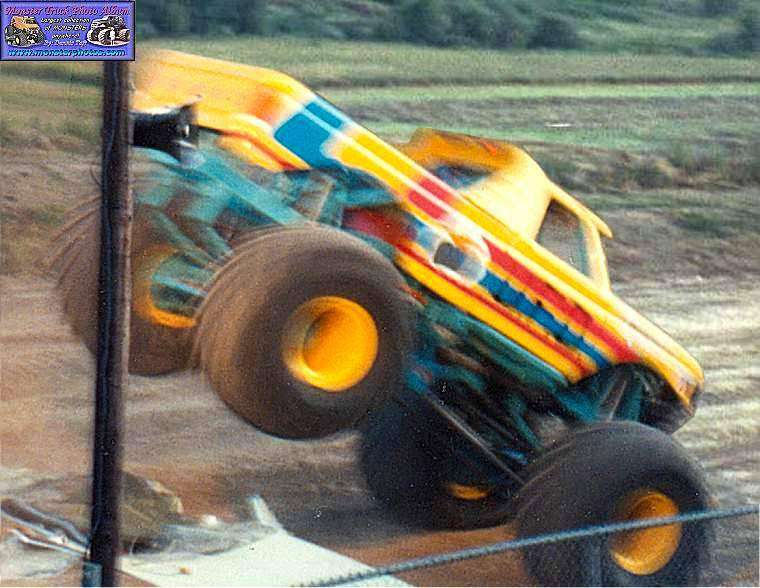 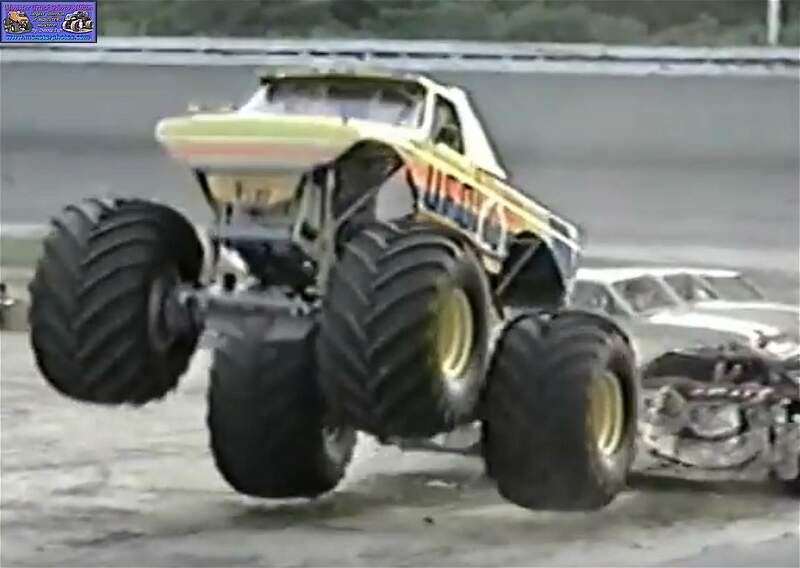 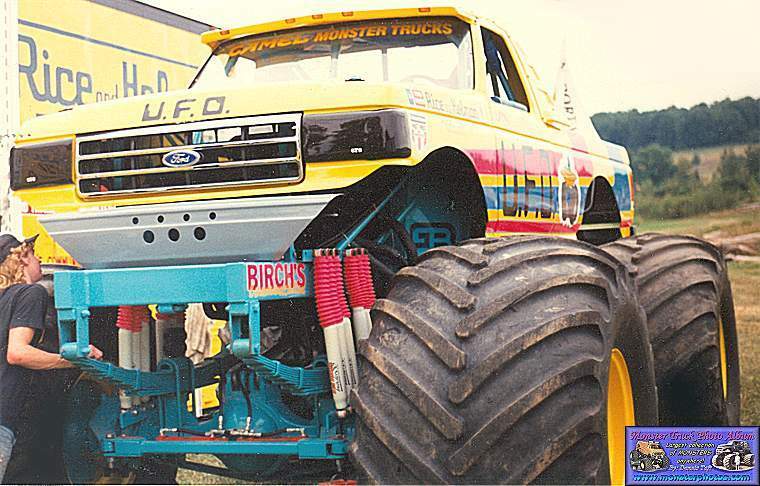 I took my brother Dan and cousin Brett to the Tioga Co. Fair, PA. so they could see their first monster truck show on 8/8/91. 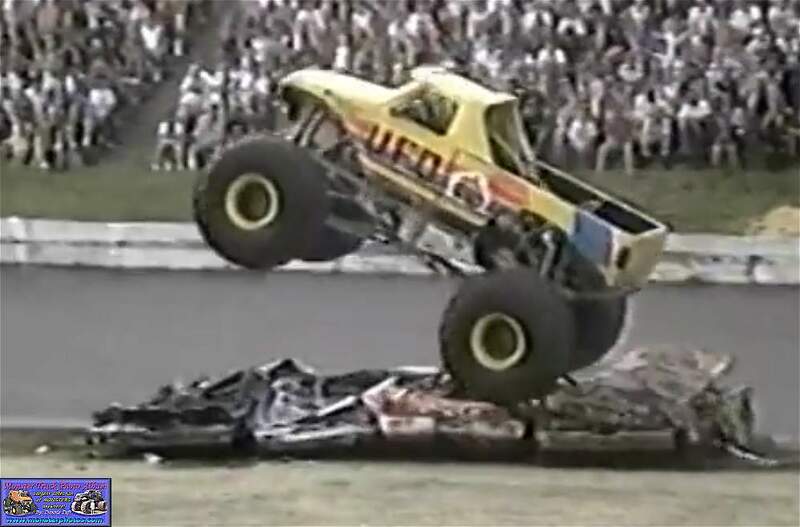 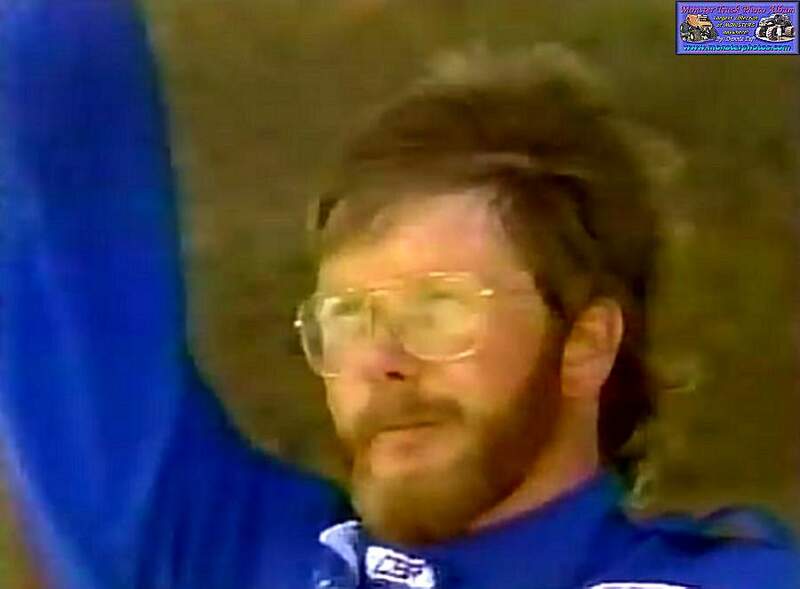 He spent the day with Bob Fisher, Bob Holman (Holman's Beast) and Anthony Fortier (Pony Express). 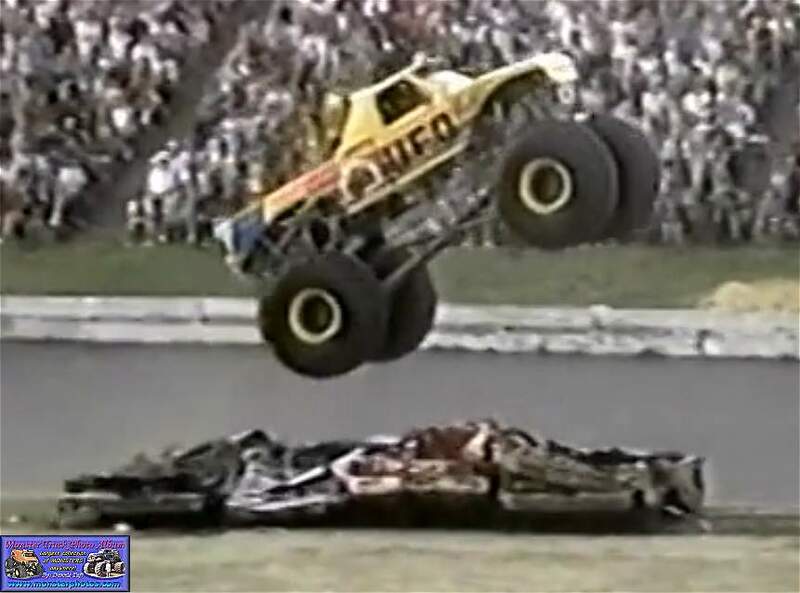 Dan was 19 and Brett was about 18. 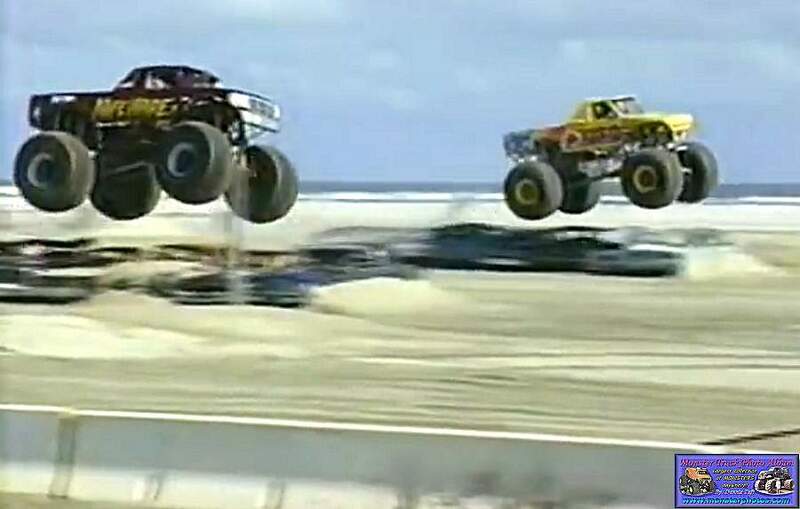 They had the time of their lives. 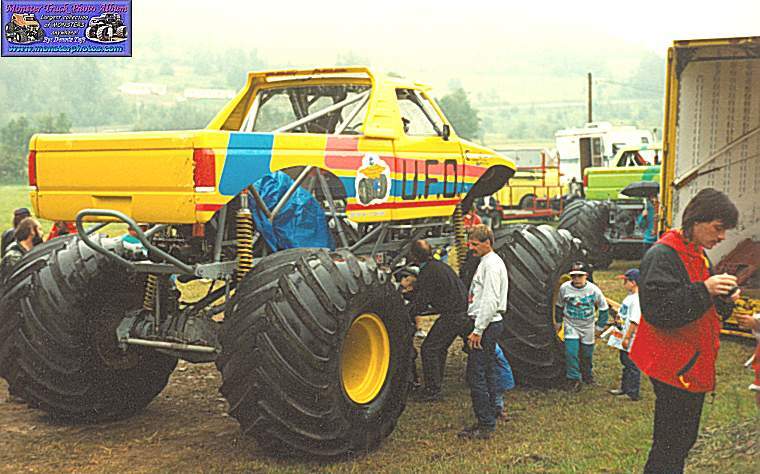 They love mechanical things, and had alot of fun changing tires and helping with the trucks. 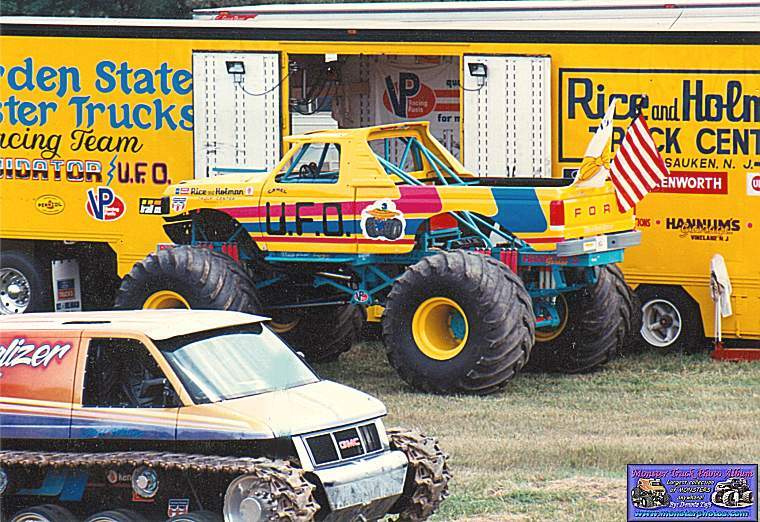 They couldn't believe how big the trucks were. 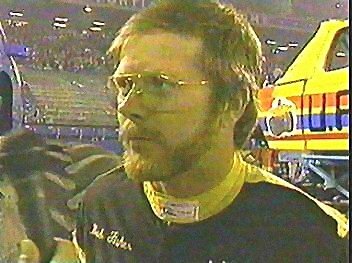 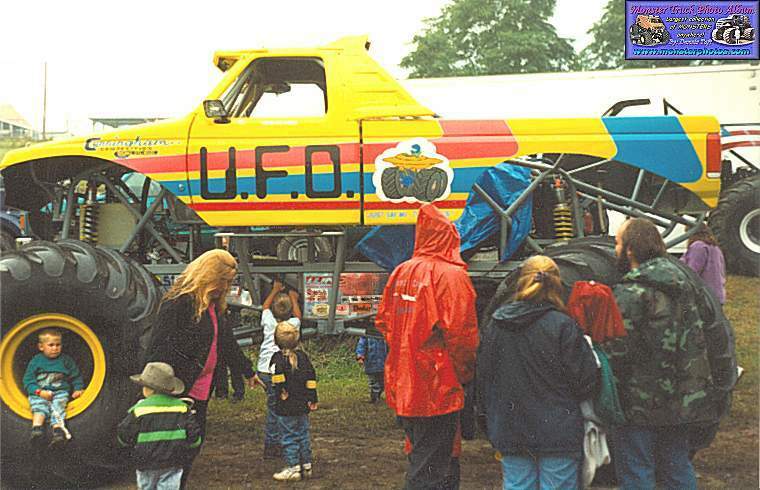 I saw the UFO and Bob again in Bloomsburg, PA. July 10-12, 1992 and in Tioga, PA. again in Aug 6, 1992. 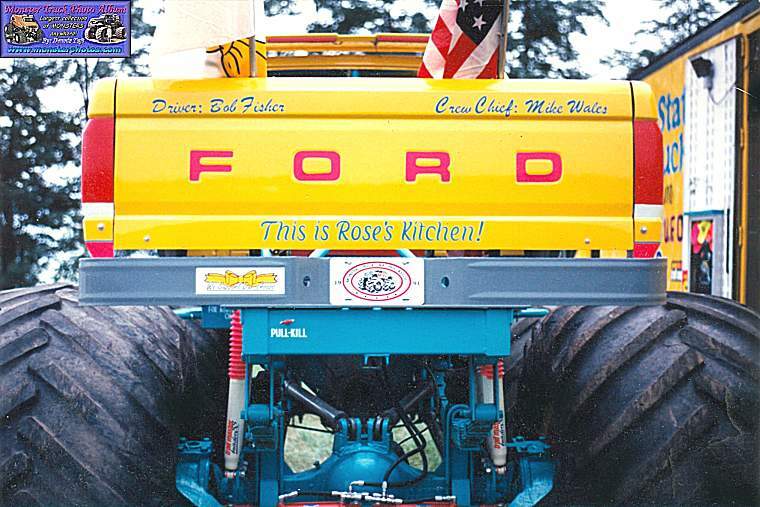 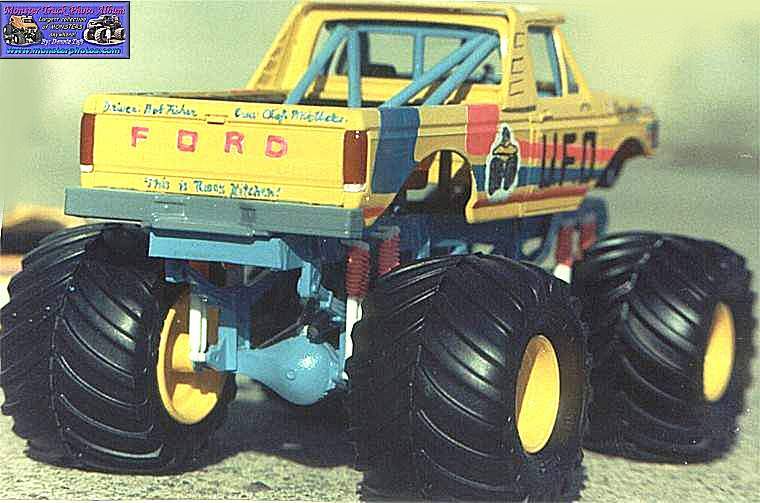 This is a model I built for Bob Fisher. 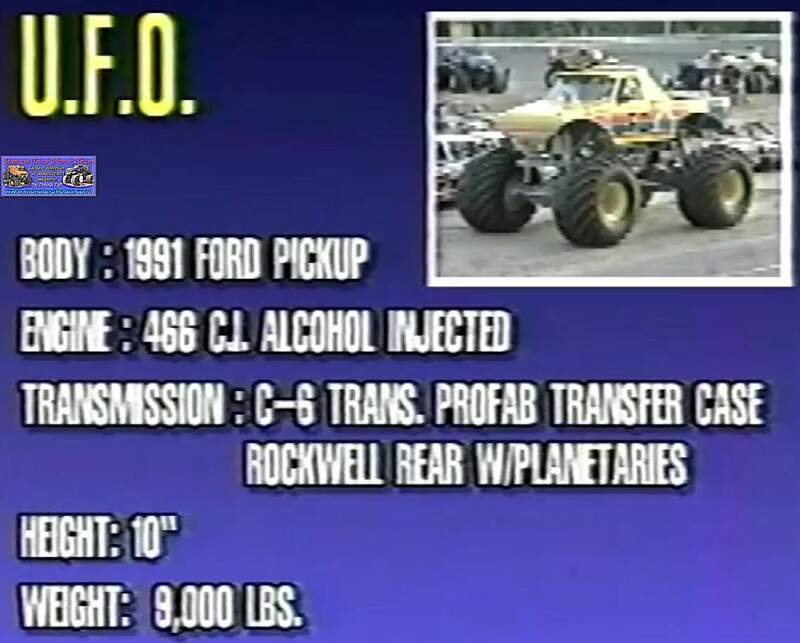 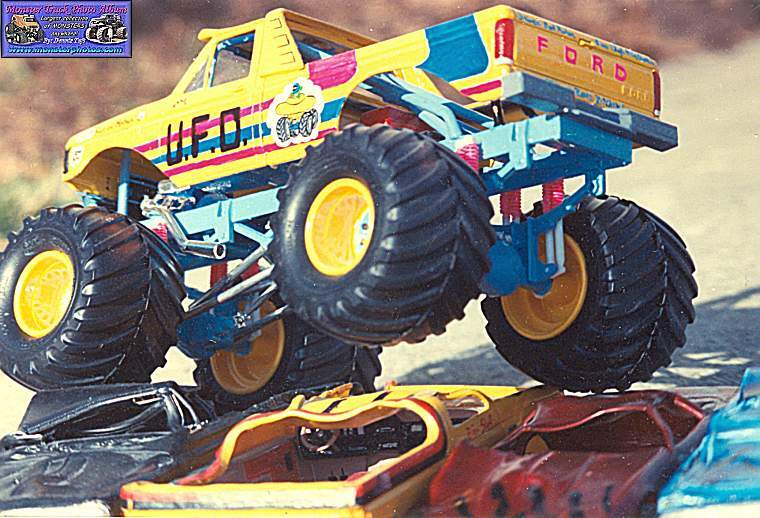 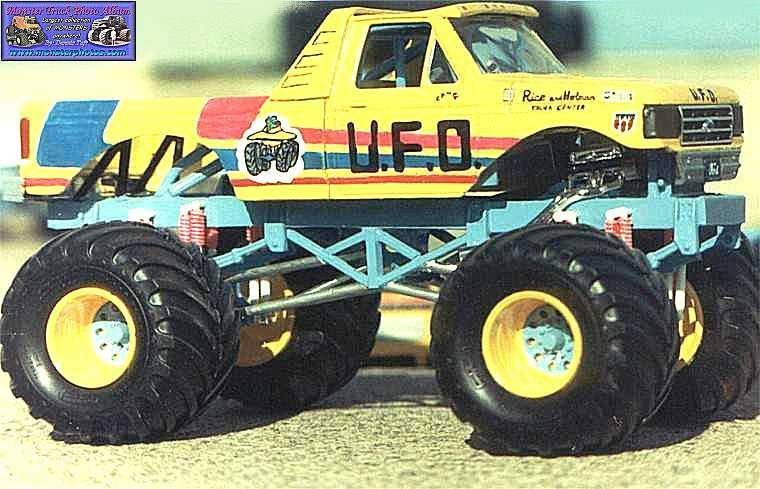 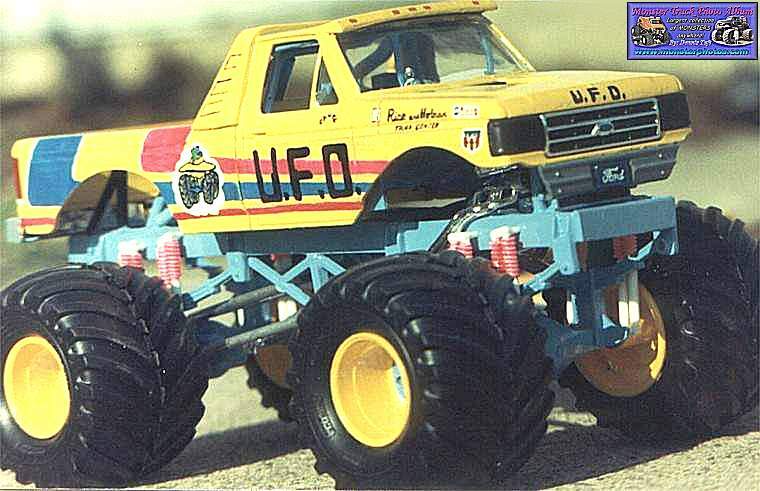 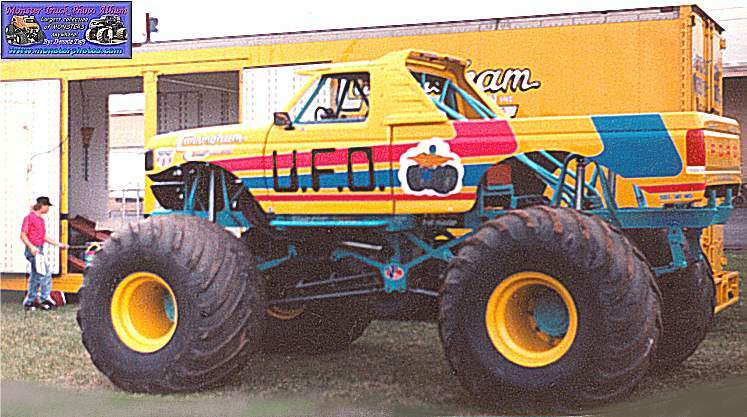 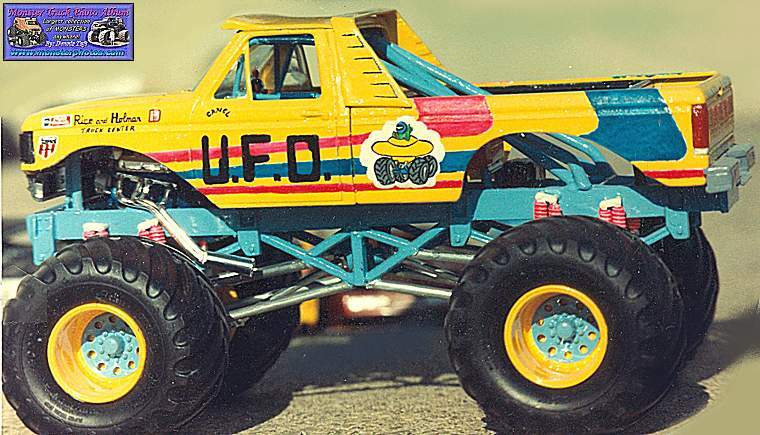 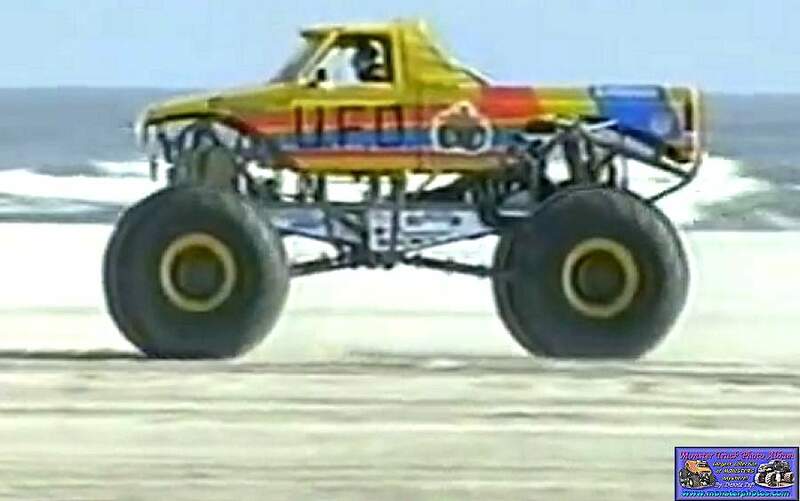 It was built from a Bigfoot model. 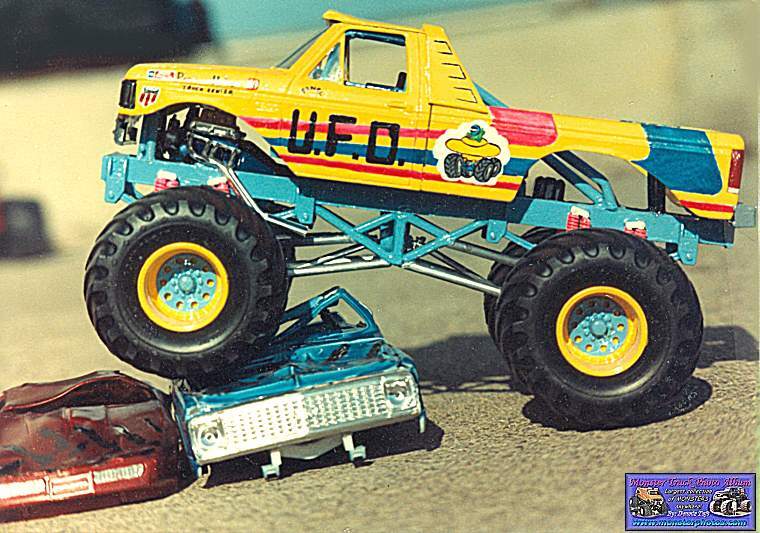 Hand Fabricated frame, roll cage, cab extension, Lund Visor, and had to cut out the fenders and front bumper.